“Bikeride” is a sweet little video from Vered‘s album “Good Morning My Love.” It was this album that won Vered the 2012 Parents’ Choice Gold Award-winning CD. A remastered version of “Good Morning My Love” will be released this October. Beyond being a composer, performer and mother of two young sons,Vered is a music therapist who has pursued advanced studies in clinical psychology and has put her extensive training to good use, leading more than fifty parent/baby workshops each year. For ten years she devoted days to her studies and clinical practice, while singing by night. Her beautiful voice has been compared to Norah Jones. 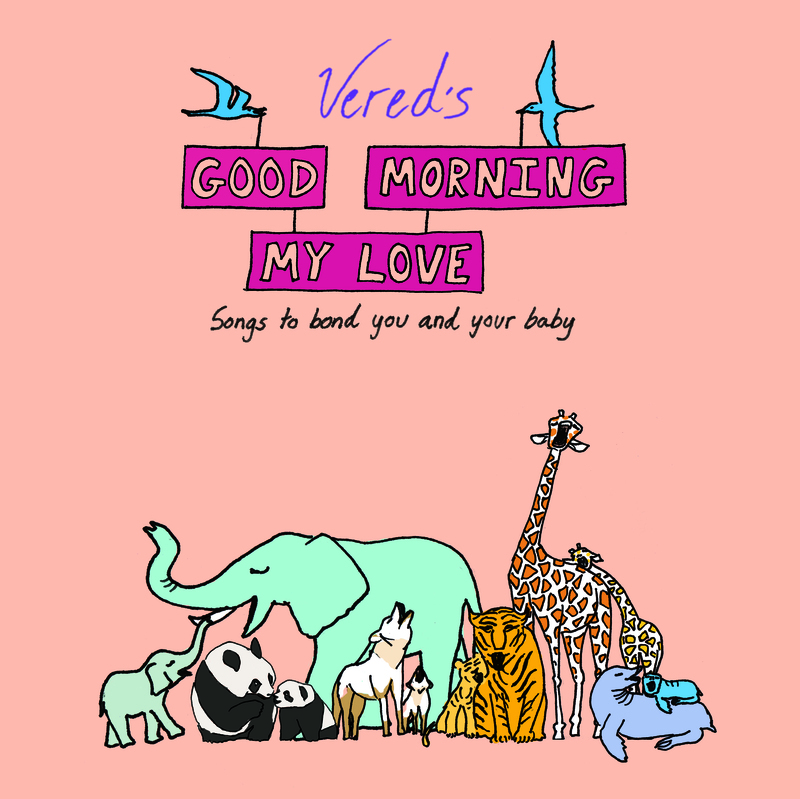 Vered’s main goal is to give parents tools to use music in order to connect and communicate better with their baby. She aims to help parents become aware of the use of rhythm and its benefits, certain vowel sounds and vibrations, the use of music to establish routine, to play, and to soothe. “I am a music therapist with an MA in music therapy from NYU and then I went on to study clinical psychology at City College in NY where I got my MA. My BA isalso from NYU in music and philosophy. I am particularly interested in merging theory from music therapy with theory from attachment research. My main goal is to give parents tools to use music in order to connect and communicate better with their baby. I help parents become aware of the use of rhythm and its benefits, certain vowel sounds and vibrations, the use of music to establish routine, to play, and to soothe. We introduced music to Em in her infancy and she would kick and squawk and coo with certain changes in inflection or tone in a song. Even when we read “Brown Bear Brown Bear” by Eric Carle we noticed that she would anticipate the next part simply because of the repetition and rhythm of the story, as well as, the pitch and tonal changes in our voices. In her video for “Bikeride” you will see just how enjoyable music and movement can be for both mom and baby. It’s a delight to watch Vered and her baby going through the physical motions of pedaling and a swimming in this video. It’s sure to bring delight to new parents. Even my 3.5 year old gets a kick out of playing this game. And the fact that she can sing along with me now makes it even sweeter.